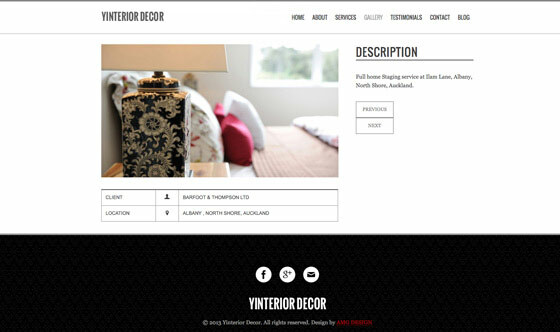 Yinterior Design Auckland - small business website & branding. 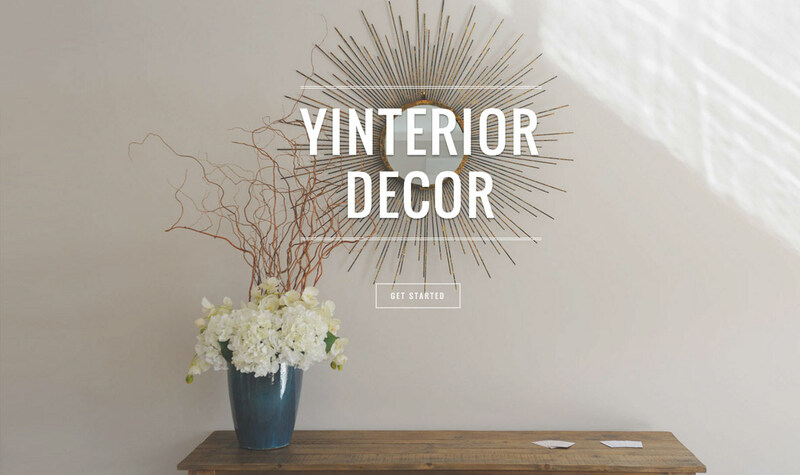 Yinterior Decor wanted a custom design small business website using the latest trend in web design (namely a one page scrolling design). 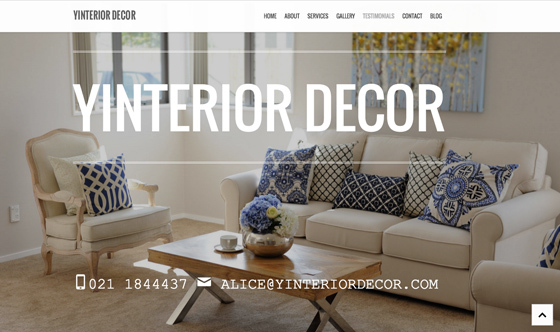 Alice also required a user friendly CMS (content management system). In order to help online search visibility, AMG Design created inner page case studies accessed from the homepage gallery. We also registered a search engine friendly domain name to help with Google organic search ranking. 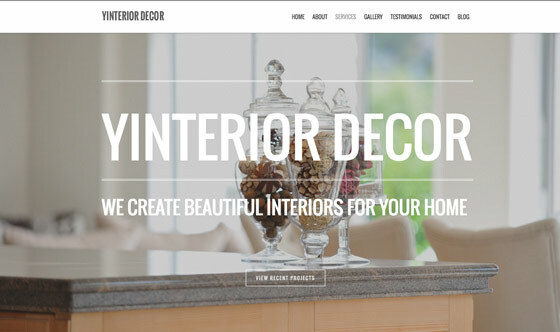 The minimal responsive web design with touch swipe support uses a full screen banner image that scrolls down to reveal the main menu sections. We created full width image banner panels and decorative icons along with 'call-to-action' buttons for the main sections of the web page. 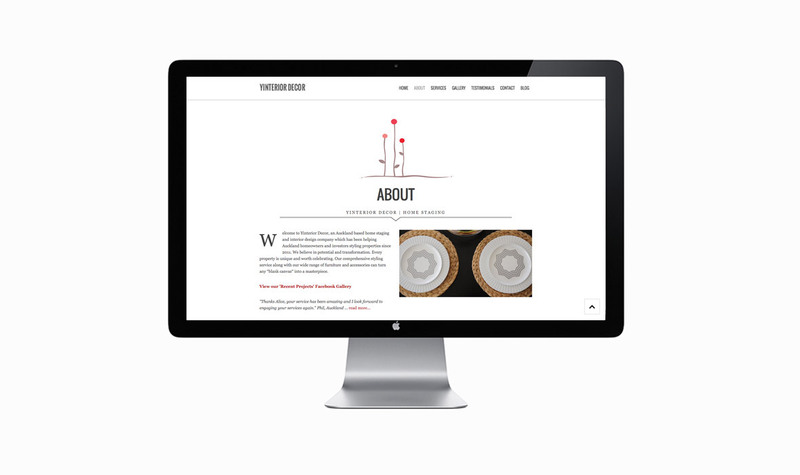 Our web design is optimised for mobile devices and features a touch swipe slider for testimonials and a contact form. 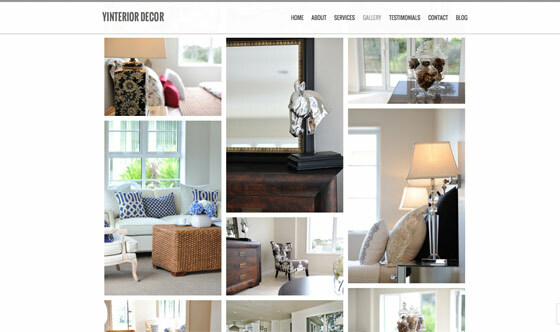 Allan, our in-house photographer, took all the photography for the initial website launch and for the Yinterior Decor A4 brochures that we designed and printed. 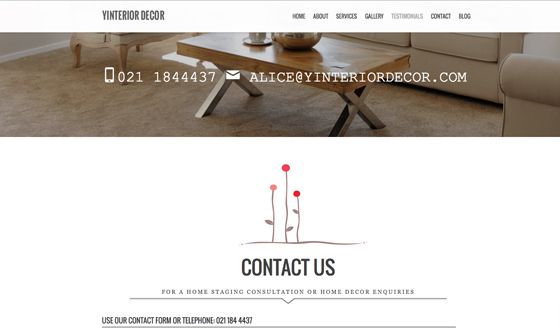 Alice's Auckland small business website was optimised using our SEO expertise and embedded with Google Analytics. AMG Design provides email and web hosting with free support. 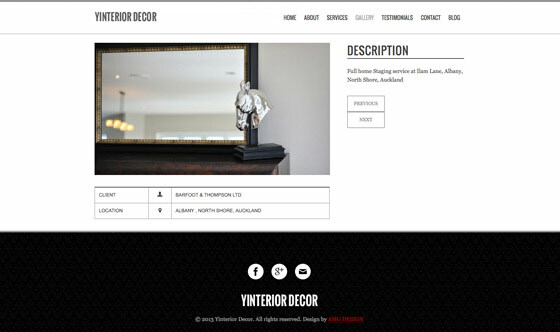 Get a free design quote.